A 27-year-old man has been arrested on suspicion of murder in connection with the death of a man in Lincolnshire. Jordan O'Brien died in hospital after suffering serious injuries at a property in Scampton Way, Gainsborough, on 27 March. Lincolnshire Police said the man remains in custody for questioning. 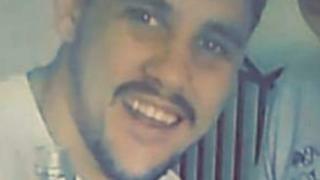 It comes after another man, Kieron Walker, 22, of Auckley, Doncaster, was charged with murder and possession of a machete in public. A 21-year-old man who was also arrested on suspicion of murder in connection with the death has been bailed pending further inquiries.